It is with great sadness that Burgoynes has to announce the death of Dr Eric Mullen on Friday 14 November 2014, after a two year battle with cancer. Eric graduated from Southampton University and undertook further research work there culminating in being awarded his PhD. 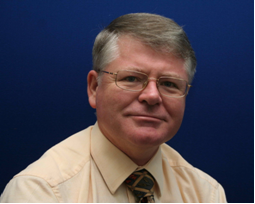 In 1983 he joined the UK Home Office Forensic Science Service, based in the Huntingdon Lab. Three years later he joined Burgoynes and in 1990 he transferred to our Singapore Office. Having been admitted as a Partner in 1991, he took over as the Resident Director in Singapore in 1993, overseeing the expansion of the office. More recently he was influential in the establishment of our offices in Hong Kong and Dubai, and latterly fulfilled the role of Regional Director. Eric was very well known, respected and liked in the Asian insurance markets and beyond. He investigated the causes of many fires and explosions worldwide; a great many of these incidents involving shipping. He developed particular expertise in matters relating to marine cargoes and was widely recognised for his abilities in dealing with hazardous materials. Eric bore his illness with great fortitude, remarkable humour and characteristic stoicism. He has been an outstanding Partner, colleague and mentor within Burgoynes and a highly respected ambassador for our organisation. He will be greatly missed by all who knew him professionally and personally and we extend our deepest sympathy to his family.